I’m sure you were as dismayed as I was at the recent, sobering findings of the CARA study on the spiritual health of Catholic families. Dr. Gregory Popcak wrote an important article about it here and will continue to explicate the findings of the study, which all Catholics should take interest in. Basically, in Dr. Popcak’s words, “Catholic homes are spiritually bankrupt,” characterized by low Mass attendance, poor participation in religious education, and an inactive personal and family prayer life. I believe this is a problem of leadership, specifically spiritual leadership, in family life. 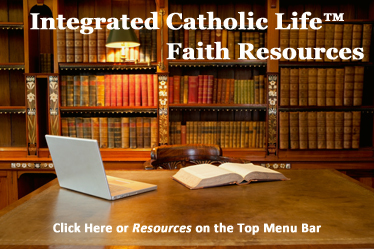 Husbands and wives, mothers and fathers, are failing to take up their God-given roles as the spiritual leaders of their family, and this inaction has led to a crisis of faith among Catholic families. Lack of knowledge of one’s role as a spiritual leader: As a spiritual leader, and as a baptized Christian for that matter, you have the responsibility to be a priest, prophet, and king for your family—interceding for them, teaching them the ways of God, and leading your family to the end God wants all of you to reach—holiness. Lack of understanding of what to do as a spiritual leader: Maybe you understand in theory that you are the spiritual leader of your family, but don’t know how to execute that role in every day life. You can discover how to be a spiritual leader through learning and personal effort, trial and error. Allowing distractions to deter one’s attention from spiritually leading: Many of us have an overabundance of good intentions but a notable lack of follow-through when it comes to focusing on our personal and family spiritual lives. This is one of my greatest obstacles in my own spiritual leadership. What I need during these phases is accountability, and doable action steps to help me reincorporate powerful leadership principles back into my routine. Impatience with slow progress in spiritual leadership, leading to demotivation: Sometimes, progress in something so important and toward a goal that is naturally designed to take a lifetime to reach can seem unbearably slow, and impatience tempts us to give up. Celebrating little victories along the way and witnessing others’ experiences of success can help re-energize us to keep on working. Feeling alone or without resources or partners to aid improvement: You are not alone on this journey. As a member of Christ’s body, the Church, you have an overwhelming number of husbands and wives, mothers and fathers, taking this journey with you. Connect with couples in your community, and learn and grow together. Most importantly, the Lord is right by your side, guiding you and cheering you on as you fulfill this most important vocation. Apathy or “lukewarmness” toward one’s responsibilities as a spiritual leader: Often what holds us back from becoming great spiritual leaders is our own sluggishness. We make excuses, telling ourselves that we will focus on this…just not now. For those who feel unmoved by this vocation that God has given you to lead your family, perhaps bluntness is the appropriate medicine. Remember what Scripture says about the lukewarm? God will spit them out of his mouth (Revelation 3:16 ). This life is just too short, and there is no time to waste in becoming the person—the leader—that God created you to be, which also happens to be the person—and the leader—that will bring you the most joy. Buying into the false idea that children should be able to “decide on their own” whether or not to live a life of faith: This idea that has been circulating around our culture, and even in some of our churches, is just ludicrous. Would you allow your young child to decide on his own whether or not he can eat ice cream every day for breakfast? What about letting your child decide whether or not she will wear a seatbelt in the car? If you are a parent, you have a natural responsibility to do what is best for your son or daughter, to guide your children in this young, impressionable, and dependent age of life. Do not leave them on their own to care for their own spirituality. They need faith from If you do not lead them toward Christ, it is likely that the culture will step in and lead them away from him. Whatever the reason, if we—as Catholic families and as a Church—don’t reprioritize spiritual leadership in family life, our families, our Church, and our culture will suffer (and arguably already is suffering) the consequences. The good news is that something can be done. Something is being done. In the Church today, there are Catholic men and women taking spiritual leadership seriously and encouraging others to do the same. I am so passionate about Catholics becoming stronger spiritual leaders in family life that I wrote a book about it. Through the use of stories from everyday men and women much wiser than I am who are seeking to intentionally lead their families toward Christ, through the wisdom of Scripture and the Church, and through practical leadership principles and action steps, I have developed a guide to respond to this crisis in spiritual leadership and help encourage men and women to become the “spiritual heads and hearts” that God calls us to be. 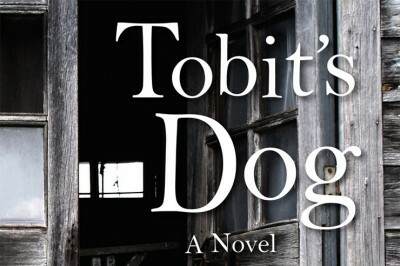 I encourage you to pre-order this book. It has already begun to change my family in more ways than I expected, and I think it could improve the spiritual health of your family, too. And one holier family is a response worth celebrating to the spiritual leadership crisis that we, as leaders of our Catholic families, can turn around. Editor’s Note: This article is adapted from Katie Warner’s book, Head and Heart: Becoming Spiritual Leaders for Your Family (Emmaus Road Publishing, August 2015), with permission of the author and Emmaus Road Publishing. 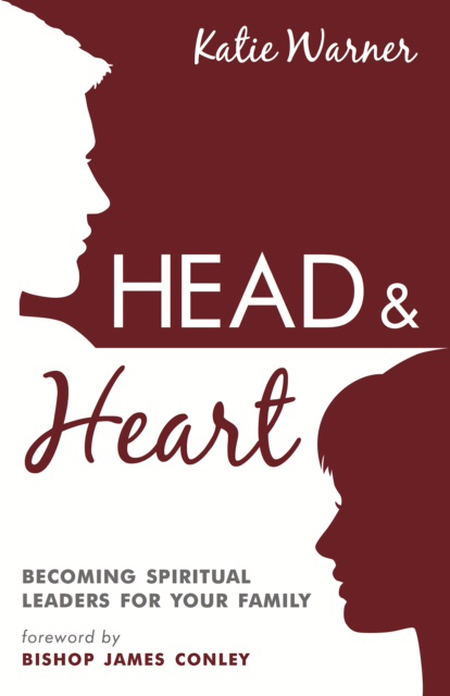 Check out Katie Warner’s exciting book, Head and Heart: Becoming Spiritual Leaders for Your Family (Emmaus Road Publishing, August 2015). Katie Warner is a Catholic wife, stay-at-home mother, speaker, writer, and evangelist who is passionate about taking small steps toward a more meaningful and spiritual life, and helping others do the same. Katie writes and speaks about a variety of spiritual and practical topics, and has presented in venues like the National Catholic Bible Conference and numerous Legatus chapters, the Eucharistic Congress of Atlanta, EWTN radio, and on EWTN television. She is also a presenter for the Symbolon RCIA and Opening the Word programs produced by the Augustine Institute. Katie is one of the original contributing writers for The Integrated Catholic Life and a correspondent for the National Catholic Register. Katie works very part-time (usually during toddler naps and late at night) as the Manager of Communication and Evangelization for Catholics Come Home, a national Catholic evangelism apostolate working to invite fallen-away Catholics and non-Catholics home to the Catholic Church. She holds a graduate degree in Catholic Theology, specializing in Evangelization and Catechesis, from the Augustine Institute in Denver, Colorado. Her favorite ministry work—and day-job—is family life, and she enjoys homemaking and mothering in sunny Southern California, where she lives with her husband and son.